I love reading about American Indian history and culture and I don’t feel I’ve read nearly enough. I’ve got several books still on my tbr shelf but this is the All Non-fiction Group selection for August. 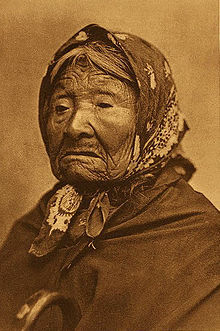 I’d heard of Edward Curtis prior to reading but very little – I think I read a short magazine type piece a couple years ago – way prior to the publication of this book but it may have been by Egan. 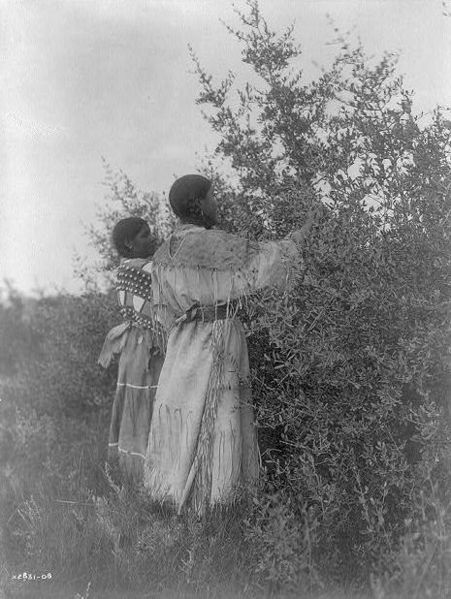 The book opens with a young Curtis photographing the last Indian of Seattle, Princess Angeline, her life and Curtis’ to that point, 1896. The famous photo is reproduced on the last page of the chapter. The story moves chronologically, how Curtis got interested in photography, moved to Seattle and got established there. Was interested in photographing the wilderness and the Indians. Was discovered by well-to-do naturalists from the East Coast and took them on treks including Mount Rainier, Alaska and other places. 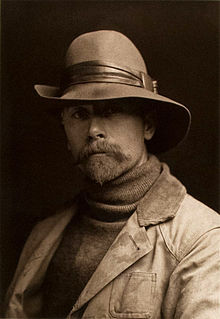 Then in 1900 on a trip with Bird Grinnell (an organizer of the National Audubon Society) he got his “Big Idea” to produce a some kind of book or portfolio which would document the lives of the Native American Indians of the western US before they and their cultures disappeared from the earth. Unretouched original of the image above. Note the clock between Little Plume and Yellow Kidney. friends, the rich and powerful he’d met on his journeys – all to no avail. He asked Theodore Roosevelt but could get no tangible support. Finally, against the better judgement of some, he contacted J. Pierpont Morgan – the seriously wealthy and powerful industrialist and art collector. That was no-go at first but Curtis persevered and won the day. 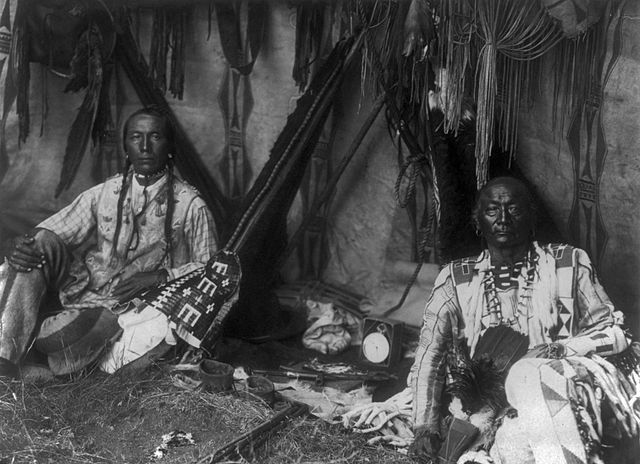 The story of Curtis is told very chronologically with the histories of the tribes woven in. The US text-book story vs what the Indians told Curtis is fascinating if not new to me – Egan is doing a very good job here. The Notes are available in the back but I wish they were more accessible. (picky-picky) I suppose it’s important to remember that Egan’s book is a biography of Curtis, not a focus on the Indian issues themselves although that has to come into play because Curtis wrote about it. In my opinion, there are rarely spoilers in non-fiction because you might have the story from anywhere. But in this case I think a spoiler warning might be appropriate because general readers might not know the details of Curtis’ adventures, his success(es) and/or failure(s), his private life, his legacy. So I’ll just close up now and let Egan’s readers find out the rest on their own – there are several threads – Curtis’ professional life, his health, his family life, his publications, his legacy. Egan even touches on contemporary criticism. Enjoy!